As attempts to prevent ironworker Randy Bryce from winning his bid to replace Paul Ryan intensify, the incoming chair of the Wisconsin Broadcaster Association was forced to resign after filming a misleading ad attacking Bryce’s character. Earlier this week, the Congressional Leadership Fund, the personal Super PAC of House Speaker Paul Ryan, began a massive $3 million ad buy against Bryce. Currently, a massive dark money effort is underway to derail the multiracial coalition backing Bryce in his bid against Bryan Steil, a corporate attorney and former aide to Paul Ryan. Steil entered the race last spring after Paul Ryan decided to retire rather than face a primary, where polling showed the half-Mexican, half-Polish ironworker was narrowly beating the sitting Speaker of the House. Now, with polling showing Steil and Bryce locked in a neck and neck battle, Paul Ryan and others are using their Super PACs to flood the district with money. A loss by Paul Ryan’s appointed successor in Ryan’s backyard could potentially derail Ryan’s future ambitions for the presidency. Ryan’s Super PAC has already committed $3 million, and some experts think as much as $8 million dollars by various Super PACS in attempts to derail the multiracial labor coalition backing Bryce. 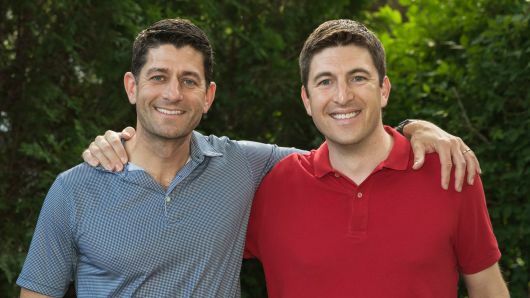 In one of the most effective attacks ads being run by Paul Ryan’s Super PAC against Bryce, the incoming chair of the Wisconsin Broadcasters Association Nancy Douglass, a popular radio host in the district, accuses Bryce of being a deadbeat dad. In the ad, Douglass relates her experience as a single mother struggling to get her ex-husband to pay child support and then accuses Bryce of being a “deadbeat Dad”. However, Douglass was forced to resign as the incoming head of the Wisconsin Broadcasters Association, after many accused the ad as misleading. Randy Bryce’s ex-wife Faye Boudreaux has disputed the allegation that Bryce was a deadbeat Dad. In 2014, Bryce was laid off from his job as a construction worker and fell behind by two-and-a-half months on child support, worth a total of $1,257. Understanding of the unfortunate economic times that Bryce has faced and the positive role that Bryce had played as a father, Bordeaux and Bryce worked out an agreement without court involvement for Randy to help make ends meet for the family while he searched for other work, which he acquired two-and-a-half months after getting laid off. However, under draconian welfare reform laws in Wisconsin, when Bryce’s paycheck failed to make automatically deducted child support payments, the state stepped in to sue him even though his ex-wife Bordeaux had no desire to take legal action against her ex-husband. Bordeaux has repeatedly disputed in public and expressed her anger that her ex-husband Bryce is being portrayed as a deadbeat dad. Despite Bordeaux’s anger with the ad, Paul Ryan’s Super PAC is expected to spend millions of dollars airing this ad and others attacking the character of the ironworker Randy Bryce. Be the first to comment on "Ex-Wife of Randy Bryce Disputes “Deadbeat Dad” Smear Campaign"